Tomorrow, Friday, at 7 PM I will talk about The Honest Truth at the Regulator bookstore in Durham NC. This is the list of songs that they have created to play in the store for the day. 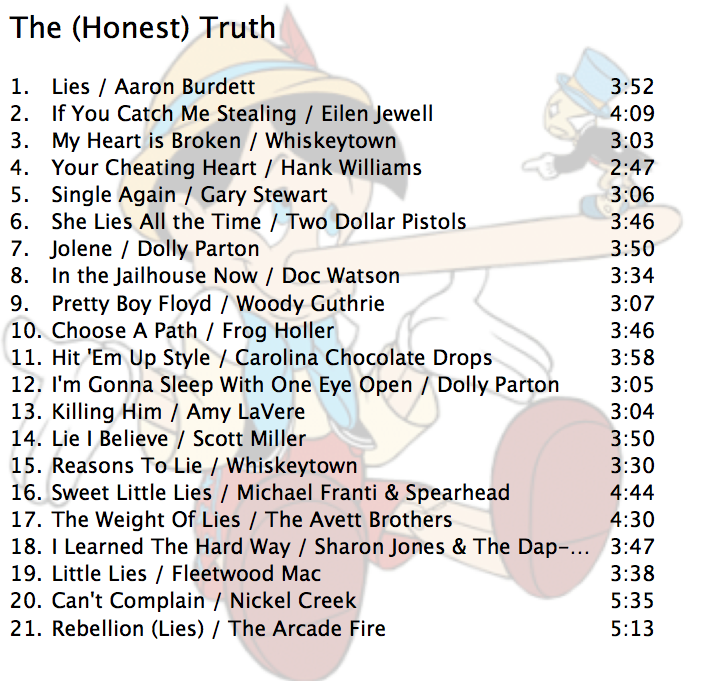 I am just wondering if these songs will make the people in the store (employees and customers) more dishonest compared to a regular day…..